Have you cleared the code? What year is your car? It may be a failure of the VATS module itself. The code is saying it doesn't receive the "ok" signal from the module; but if it's bad, that could be why. 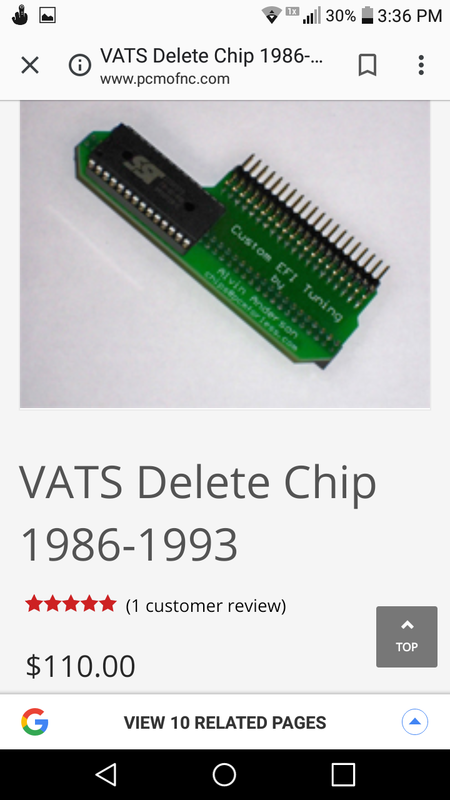 There are VATS full bypass kits and methods that can eliminate the module itself if you can't find another one. The bypass kit substitute module sends a signal to the PCM that copies the one from the VATS module. Make sure you follow the instructions for the 30 Hz signal, only used in 1993. 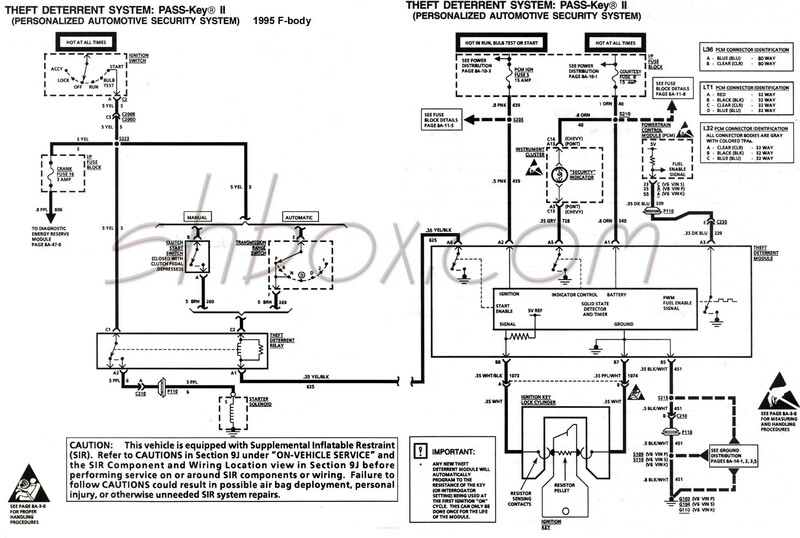 Here's the VATS system wiring diagram. 93-95 are all similar. The factory theft deterrent module or TDM (the 1993 factory manual labels it as the "PASS-Key Decoder Module) is located "in instrument panel, just to right of the radio, attached to the air bag bracket". 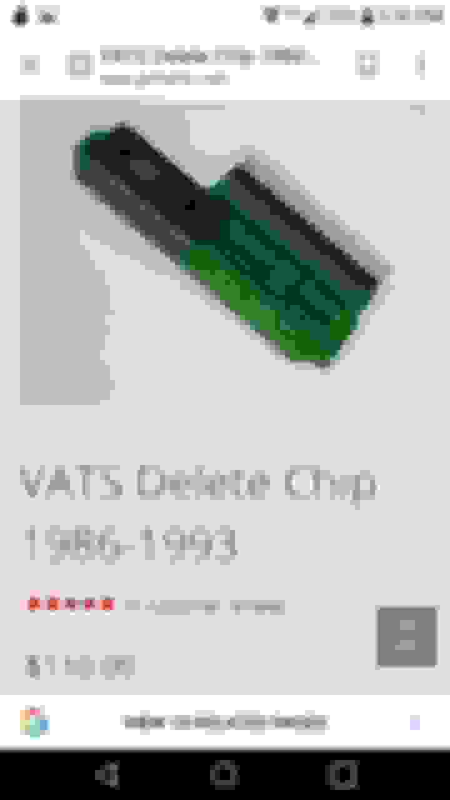 I have not personally installed the new module you have, but based on the instructions you posted above, and the 1993 factory service manual, here is what needs to be done. You need to attach the red wire to a switched12 volt source. When you find the theft deterrent module, there will be a 16-pin connector attached to it. Pin A2 is a pink wire, and that is switched 12 volts from fuse #5. Do not cut this wire. Leave it in the connector and splice the new module red wire into it. You need to attach the black wire to a ground. In pin B5 there is a black/white wire that is a ground. Or you can attach the black wire to any grounded metal under the dash. If you want to use the black/white wire do not cut this wire. Leave it in the connector and splice the new module black wire into it. 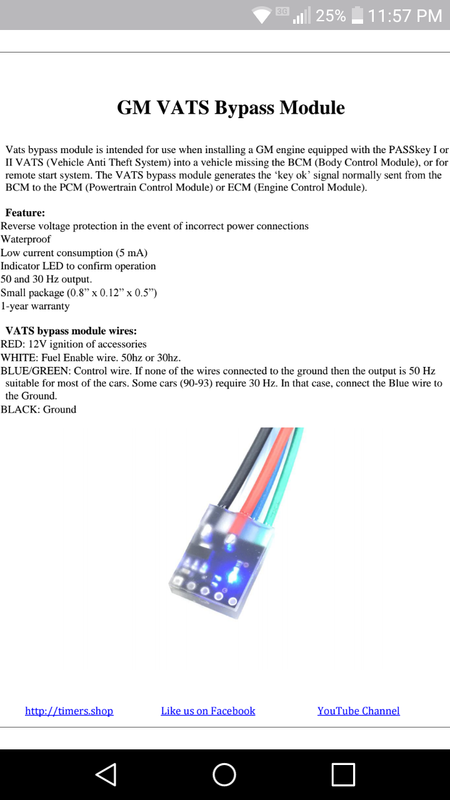 You need to attach the white wire to the ECM input wire. On a 1993 V8, the fuel enable signal wire is dark blue. That wire starts in pin A3 of the TDM connector. Cut that wire off at the connector, and attach it to the white wire in the new module. The instruction for the blue-green wire appears to have been translated from Chinese, or something, and isn't crystal clear. The way I interpret it, since you have to have the 30 Hz signal for a 1993, the blue-green wire needs to be attached to a ground. But where they refer to a blue-green wire at the beginning of the instruction, the last part only mentions a blue wire needing to be attached to ground. From the picture, appears there are both a blue wire and a green wire, so you can see the source of confusion. Last edited by Injuneer; 11-05-2018 at 03:27 PM. Be sure to re-read the above, before making a copy of it - I had to make a couple changes after I proof-read it.